According to recent surveys, matters of public cloud infrastructure, social media platforms, and particular mobile technologies are now fundamental parts of business plans across firms in the Asia Pacific region. Nearly two thirds of surveyed organizations in an annual survey about business’s use of emerging technologies answered that cloud infrastructure and social media are an important consideration in future business plans. Overall, it appears that firms in Asia Pacific consider investment in IT fundamental to success in the region. The primary result of these surveys have linked IT investment with business strategy, considering them practically inseparable. This is particularly true when it comes to investing in emerging technologies. A failure to innovate or take advantage of new IT technologies puts companies at a severe disadvantage. Studies show that emerging technologies give companies the edge they need to adapt to market fluctuations. Businesses in the Asia Pacific have also indicated that they plan on significantly increasing their social media presence, in particular Facebook which has seen an explosion in subscribers in the past couple of years. In America and Europe, social media use in businesses seems more evenly distributed across various platforms with different target demographics. There is also an increased demand for emerging technologies in the logistics and transportation industries. This is because time management and supply chains have become a less important issue than dealing with budget, lag, and overlapping services. While most companies that indicated intentions to invest significantly in cloud technology, mobile platforms, and social media analytics, there are still key concerns that stop many companies from making a full shift to these kinds of platforms. The common concerns of security and reliability have gradually decreased for many companies, because the technology has improved to the point where services by emerging IT firms are comparable in security in reliability to traditional IT service providers. Rather, many firms have expressed a concern for a lack of availability of these services in the region. Not only a lack of firms providing these services but also a lack of skills needed to operate and maintain these kinds of specialized emerging IT infrastructures. Findings indicate that the Asia Pacific market has immense potential for companies and individuals willing to provide such IT services in the region. While competition is fierce, companies with a particularly innovative approach will find a high demand as well as numerous companies willing to invest in the technology they provide. One of the reasons for this high demand is that very same high degree of competition in this market. Companies are constantly on the search for innovative IT solutions that may allow them to have a slight advantage over their competitors. 1. Social media analytics, platforms, applications, and marketing techniques. The quick rise and adoption of Facebook in the Asia market is of particular note and the platform should be used by IT firms wanting to expand their presence in the region. 2. Cloud computing providers with an emphasis on e-learning platforms, cloud storage, and computing power providers for applications with a high need for power such as graphics rendering or computer modeling. 3. IT firms that are able to take advantage of the particularly high mobile use in the Asia Pacific region, particularly among Japanese users. If you are a large cloud computing company, you may be forgiven for looking down at small fry, micro-businesses that employ less than 10 people. But you could be making a big mistake. Cloud computing for such micro-businesses is where the revenue is going to be from in the next few years. With most large companies (or so-called macro-businesses) already moving to the cloud, and this market is already quite mature. But in the US alone, there are nearly 21.7 million – yes 21.7 MILLION – businesses that have just one employee (i.e. just the owner) and there are 4.8 million businesses that have between one to nine employees. Some people might think that this market represents a small fraction of cloud spend; but those people would be wrong. It is the smaller companies that are faster adopters of the cloud. All of these micro–businesses bring in a revenue of – wait for it – $3.5 TRILLION a year. Cloud computing allows small and micro-businesses to access advanced computing capabilities at low costs. But with the very large numbers of such businesses, the sums add up. CISCO figures that firms with four employees or less will collectively spend $16 billion on cloud services in 2015. These are very small businesses, and firms with five to nine employees are not included in this figure. The statistic above shouldn’t be too surprising because small businesses look to cloud computing to get quality computing power at a much lower cost than would be otherwise possible. However (and here lies the opportunity for cloud service providers) small businesses are often very disappointed with the service that is currently being provided to them. Most large cloud service providers give them a standard ‘take it or leave it’ package. There is no personalized support and individual businesses are too small to bargain for better services. Cloud service providers can attract this lucrative niche business by stressing on data security, offer backup and recovery services, keep costs and overhead low and make their business model as simple and as flexible as possible. One example of this is GMO Cloud’s Multi-Level Security Strategy Small (4–6 TB nodes) can host a large number of small businesses and as the number of tenants increase, more nodes can be added incrementally – thereby allowing even the cloud center to start small and grow with the business. The key to building a business in this segment is to think of the service you offer as a menu in a cafeteria. The client can pick anything they want from the menu and keep adding services they need. Most industries are reaping benefits of the cloud these days, and the healthcare sector is one of the latest industries jump aboard. Certain compliance issues and data security concerns were hindering this shift. But as professionals learn more about the benefits that lie in the cloud, adoption is increasing. One of the important factors driving this transition is the need for highly scalable data management solutions. Healthcare organizations have to manage large volumes of data. While organizations require scalable resources, data integrity and security are of paramount concern. Traditional computing infrastructure is not able to handle growing business demands. And with limited budgets and low-powered computing resources, organizations find it difficult to provide comprehensive health care and support. Moreover, managing different types of data is a growing concern. How does the cloud answer these issues? First of all, clinical data mining in compliance with federal laws is a big issue for organizations. Cloud computing technology offers the necessary agility to scale up resources to meet growing business needs. Scaled infrastructure allows organizations to perform data analysis and improve patient care. Secondly, small and medium-sized healthcare organizations do not have the required infrastructure to provide comprehensive services to patients. With a shared infrastructure, computing resources are pooled to provide an edge for smaller organizations. Claims management, revenue realization, and operational improvements can be effectively assessed and improved. Thirdly, healthcare organizations have to deal with disparate data. Consolidating different types of data for a centralized management system is a tedious task. In the cloud, disparate data can be centralized at optimized costs. Fourthly, storing large volumes of images requires huge data storage resources. For instance, the radiology department has to store large volumes of scanned reports. In a traditional network setup, this is not feasible. By moving to the cloud, healthcare institutions can enjoy highly scalable data management solutions that use cutting-edge technologies to securely store and retrieve data. More importantly, the healthcare segment can comply with changing laws and guidelines. Centralization of data enables medical practitioners to access patient information from anywhere to offer emergency support and care. 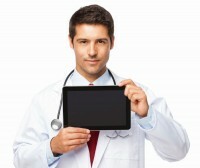 Doctors can receive electronic alerts about a patient’s medical condition. In this way, more lives can be saved in critical emergency conditions. While large institutions improve their service levels, smaller organizations achieve global recognition. At the same time, patients get more sophisticated care and support. While amazing benefits are offered by the cloud, data security and integrity is a main concern. Online threats and network intrusions are common for cloud networks as well as on-premise networks. However, cloud networks possess high-end security solutions that are updated on a real-time basis, and the highest security measures are put in place. It does not matter where your data is stored. The way that data is accessed is a crucial factor. Healthcare institutions that understood this important aspect have quickly embraced the cloud. An entrepreneur’s life is tough. Along with chasing their dreams, they also have to look after their infrastructure requirements. Typically, an internet startup will only have a couple of hands available. The risks are high and there’s usually not much money involved. Fortunately, the cloud is making things a little easier recently — a silver lining, so to speak. Here is a brief checklist of what entrepreneur’s should look for in a cloud vendor. To borrow from management jargon, an entrepreneur must devote all his energy to his primary business goal. This leaves him very little time to do anything else. Setting up online web servers can be tedious process. Moreover, you don’t want to hire a technology fiend who will eat into your budget. As an entrepreneur, you must therefore look at a cloud vendor who will do the initial grunt work for you. This includes installing the operating system, software and utilities that you need. A good selection of services to run on your server, the installation of a security pack, and the configuration of load balancers are some features which you’ll require. The sad part about servers is that they require constant and regular maintenance. Operating systems undergo upgrades every few days and keeping up with the patches is a grind. As an entrepreneur, you would like to offload this task to a reliable person. It would be highly desirable if your cloud vendor can provide this. If the maintenance crew is different from the cloud vendor, you may have to play mediator between the two — a situation which you probably don’t have time for. Assuming all goes well with your business, you will require additional resources to accomodate higher traffic to your site. It’s a happy situation, but can turn out to be very costly if your server crashes due to overloading. Fortunately, cloud technology is specifically designed to avoid this kind of a catastrophe. You must be able to automatically scale up the number of servers with increased demand. You must also be able to scale down when required. You don’t want to spend an extra dollar more than required. Your cloud vendor must therefore provide auto scaling. Load balancing is another feature which an entrepreneur must look for. These features are better explained in GMO Cloud’s High Availability Features page. A good control panel gives you information about the health of your online infrastructure. You must be able to have a clear overview of your servers, and it shouldn’t be more than two clicks away. Monitoring the health of your setup and concomitant costs can be a handy budgeting tool. This checklist will certainly cost you money, but the convenience and efficiency which you can stand to gain is worth the money you invest. You must remember that your business needs to run smoothly without any interruption. Choose the right cloud vendor and spending a bit more to save your business. Over the next two years, enterprises are well on their way to shifting a large part of their IT security initiatives to the cloud. A number of changes are underway in many key technology areas and are providing companies with secure email services, vulnerability assessment processes, secure web portals and gateways and the all-important area of identity and access control and management. Consequent to these initiatives, the cloud security services market will probably see an increase of revenues to $4.2 billion. This increase and shift from the traditional on-premise security products to cloud based solutions is also being driven by difficulty in finding personnel with the qualifications to handle these issues. Professionals with such specialized skills are expensive to hire and retain and switching over to a cloud-based model provides one way out. As is to be expected, secure e-mail is the most sought after service. Approximately 3/4 of the companies surveyed have said that this remains their topmost priority. Huge amounts of company secrets and information are buried in email archives and these need to be protected at all costs. There are two more areas where cloud-based security products are seeing rapid growth. The first is regulatory compliance – By moving to a cloud-based security system, users are able to see reduced costs in areas of log management, security event reporting and ensuring compliance. A cloud-based security brokerage service becomes an important partner because companies are rightly worried about sending sensitive data to the cloud. This is even more critical where applications span multiple clouds and also need to interface with on-premise systems. Such complex structures cannot be handled without professional help. The second area of growth is in the field of tokenization – A large proportion of cloud service users are already considering using tokenization as a service. Tokenization replaces sensitive data with a unique ID symbol. For example, once the company has been given your credit card details, it replaces the entire credit card data with an arbitrary string of alphabets and digits. For all future transactions which is called a ‘token’, it uses this token for all future transactions. This avoids sending sensitive personal data up and down the network. Since the token is arbitrary and is not generated from the credit card details, there is no fear that an attacker can use the token to decipher the original details. This meets with the ‘payment card industry data security standards’ (PCI DSS). Tokenization also ensures that there is no need for encryption / decryption. Using such a system, the tokenization cloud service provider manages the actual sensitive data, while companies only work with the tokens. This greatly reduces the security overheads in software applications (think of medical data, financial data, social security records and so on). While value-added retailers are offering security as a service and are taking over this critical aspect of operations, there should be no doubt about who is eventually responsible to the customer. To cite an example, GMO Cloud offers comprehensive security measures along with its cloud hosting services. If your company holds sensitive data, then the company is responsible even if it has downstream agreements with the security service provider. Therefore even though you may have outsourced your work, you need to audit your security processes frequently.